Good news: Slingshot 295 is now with the printers and should be arriving with subscribers soon. The editor is always looking for more articles, photographs and art, so feel free to contact him through editor@soa.org.uk if you have an idea. In other news the second in our series of Classic Slingshot Articles, "Solo Campaigning" by John Graham-Leigh, from issue 192 (back in 1997! ), is now online here. More articles will follow shortly. Also, the Society's Balearic Bundles deal has expired. 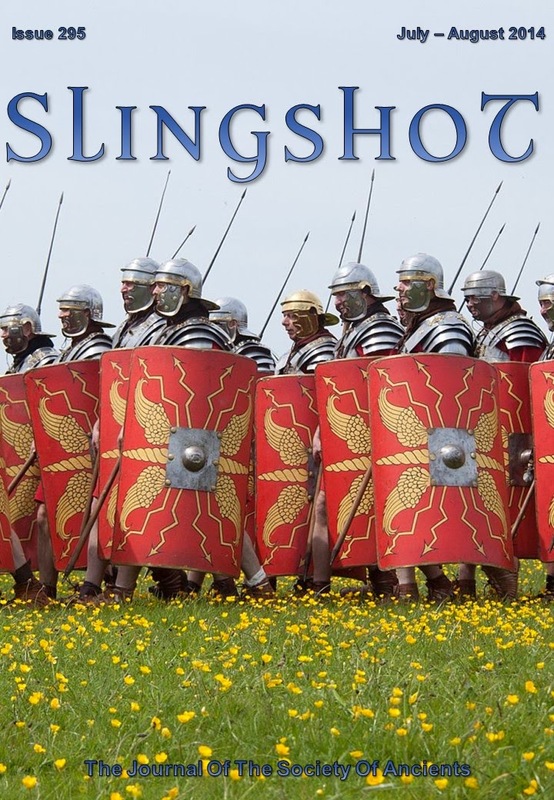 But all remaining pre-2011 Slingshots are now available at £5 per year's set. If you are interested in picking up cheap hard copies of older Slingshot bundles, more information can be found here.